All things must pass. But before we close off for another year, we will say this. 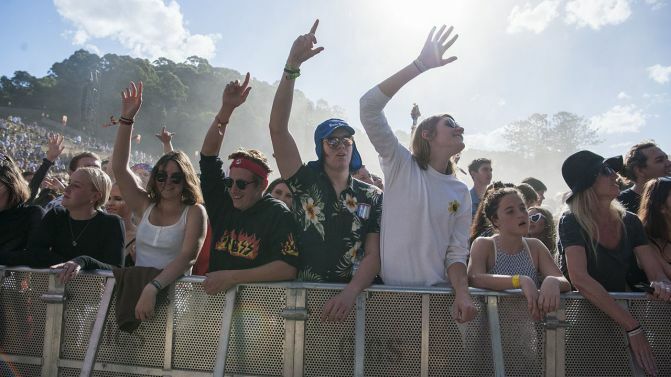 Splendour In The Grass day three rang true to its promise. 2018’s event doubled down. A little bigger, a little better and more than a little different. Let’s talk about the most important thing first. No discredit to the other artists, but 2018 is (after all) the year of hip-hop’s long gestating ascent. It’s never spoken to the world on the scale it’s speaking to it now. To Pimp A Butterfly articulated a generational moment. It reset the aesthetic standards of popular music. It advanced the art. DAMN. did it again and for a far bigger audience. If Kendrick Lamar pulls another he’ll be par with Dylan. Maybe he’s already moving past. The Amphitheatre is designed to accommodate the entirety of the Splendour crowd. For the festival’s closing set it really has been. Right now, it feels like it’s bursting at the seams. When the 31-year-old man from Compton takes his truths to the stage everything else seems small in comparison. There’s fire to his voice. The crowd heaves. Then jumps. ‘Alright’ threatens to tear down all hate, everything that’s sick and wrong in this world. But the biggest moment arrives with ‘HUMBLE.’. It flows from Lamar’s mouth. There’s no accompaniment, just naked words. “Be Humble.” Words to live by. Hannah Joy is an exceptional talent. Even for those with reservations about Middle Kids’ debut album Lost Friends or just never took the time, a few minutes with Joy will change everything. This voice is deeply resonant, there’s a thick kind of grain which all but pulls you in. It simmers with a vibration that hits you straight in the chest. This is something recordings rarely capture. Live this woman is magnetic. There’s power in her performance. She backs her talent with a hard-rocking band. Those present are struck down. Well just for a moment, then they dance. Rolling Blackouts Coastal Fever rocked it. Hope Downs is one of the year’s most criminally under-appreciated records. Spin it. Albert Hammond Jr. rocked it. Francis Trouble is another long-player worth getting across. Mallrat rocked it (in her own way). Grace Shaw has presence. This 19-year-old Brisbane producer-vocalist is an incredible figure of success. Loves horses. At 4pm a dozen believers climb the slopes of the Amphitheatre. Exhausted as they are, they claw and clamber. The sacred pilgrims find their summit. They’re here seeking transcendence. The kind they’ve felt — heard — before. It’s not something that comes easy. Some may never experience it. But it’s there, nestled deep between the vinyl grooves of every Tame Impala record. But were they really expecting that to happen here, on this day? On a hill? And yet? And yet they worship. Get a grip! He played here last when Currents dropped. He’ll be back when a new album calls for it, for the moment Parker’s striving toward rock immortality in Europe and The States. But then again, what’s Splendour In The Grass without a dash of Tame? Soon may this audiophile return. Even relative to previous days, those playing the Amphitheatre draw bumper crowds. Skegss packed it out earlier in the day. But it seems that was but a prelude for the chaos to come. As night closes in, PNAU command an even more sprawling congregation. The scale is a little staggering. Their visuals are mesmeric. As the band get their freak on the realisation arrives that the only way to get through this all is to dance. It’s hard to take note of songs because this outfit takes the listener so thoroughly outside their head. You just flow with it. MGMT open with ‘Time To Pretend’. But it’s soon apparent they’re intent on giving latest album Little Dark Age its due. This causes a bit of rub with the expectant crowd. Which is kind of a shame. Dark Age is an exceptional album for those with the patience. Sure, it’s a little less euphoric and of its moment than Oracular Spectacular but it’s not like they’ve put out Paul McCartney’s Pipes of Peace. Perhaps this record is for the true believers — this writer is one and there’s plenty more here right here tonight. The group push out many of these brilliant new tunes, but they just aren’t drawing out the same bliss points of hysteria as The Classics. This audience knows exactly what they want. With ‘Electric Feel’ close to the entire festival erupts. It’s a sea of motion. When it comes to MGMT, it feels like even as far back as the period following ‘Electric Feel’ the world has never really known what to do with them. They’re a beguilingly odd band, content on keeping to their own lane and striking their own chords. Ben Goldwasser and Andrew VanWyngarden have always been determined to do things differently. The only interest they’re truly beholden too is their own creative impulse. But even if this group and the masses aren’t always seeing eye-to-eye the audience tonight is still beholden. The numbers don’t lie. Here at Splendour In The Grass, they’ll always be stars. Well that’s it. Hopefully, there isn’t a person who came to this festival that didn’t find something. Whether it was some profound realisation, friendship, a new connection with music or just a good feed, a little nudge in perspective never hurts, does it? Even if it isn’t, next year we hope to see you here again. A large selection of loaded fries. Mankinis. At least get a wax. Punching coppers – violence of any kind.